It’s been over a week since I started maternity leave and I am still adjusting to the change in my daily schedule from a busy full time job to being at home. I am sure this will become much easier for me once the baby is here, but for now I am trying to keep myself busy. Before I started maternity leave I wrote a list of things that I would like to do during this time, of course baby being my number one priority! Having this list will help me to organise my day. Otherwise I’ll spend all day watching 24. I know I am a bit late to the party…. Umm… I think I have done pretty well given that his due date is tomorrow, which means that somehow(!?) it’s been two weeks since my last day at work. I have to say that I needed to keep myself pretty busy over the past two weeks to avoid going bonkers, so my advice would be to chill,watch TV, read books, but also go see friends or to a gallery and the cinema, have date nights and keep active if you can! Enjoy doing everything and nothing! There’s one truth when you consider yourself a runner, you know where one kilometre is in any direction from your house. Ahmm…. becuse we moved when I was already pregnant and unable to run I’m not familiar with the area, and I definitely don’t know where the magic 1 km mark is in any direction. 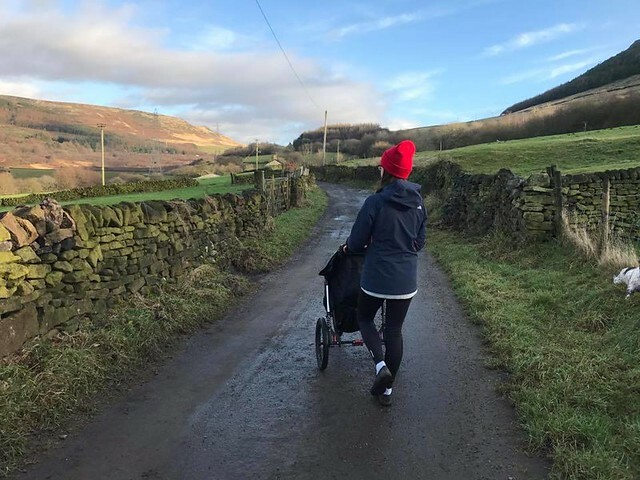 So.. the plan for mat leave is to explore the area with the pram, and also by myself, once I am able to go back to running! None of my close friends are even close to thinking about starting a family, and as this is my first baby, I thought that it would be helpful to meet some other mums to discuss nappies, poops, and the other joys of motherhood. I’m also planning to attend a rhyme time at a local library. I didn’t grow up in this country, and so my knowledge of English rhymes is very limited. Time to get on it! So my plan is to sign up for baby yoga and also pram active as soon as I am ready and get a green light from the doctor / midwife. Going to both will be quite pricey, but again, it will help me to get back to my [hopefully] pre-baby fitness, and also will be a great opportunity to introduce some social aspect to maternity leave! As much as I love walking my dog, it will be nice to see some humans too! I also really hope that my baby will enjoy both classes and will not end up screaming while mummy is doing downward facing dog… that wouldn’t be money well spent at all! I’m also planning to go back to running, which I missed more than sushi and alcohol over the past 9 months. I’ll try to get out a couple of evenings a week once baby daddy is back from work, including my weekly run with the Still Waters Run Deep crew. I’m a little bit nostalgic… I know. This might be a bit controversial, but I am one of those people who would not give up their job after smashing six in the Lotto. I like my job and the industry and so hopefully I will have time to keep in touch with what’s going on. Twitter and other social media make it so easy now, that hopefully I’ll be able to do some reading while feeding my boy. Your blog keeps getting better and better! Your older articles are not as good as newer ones you have a lot more creativity and orniliagity now. Keep it up! And according to this article, I totally agree with your opinion, but only this time!